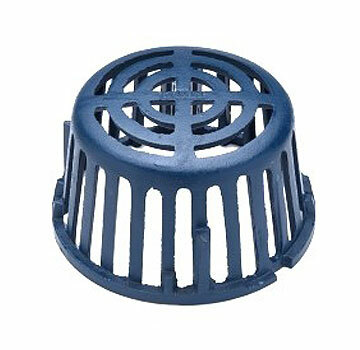 PRODUCT: Zurn #56586 Z125 8 inch Cast Iron Replacement Drain Dome (acutual size is 7-1/2 OD x 4-3/8 High). Price/Each. ZURN #56585 8 in. CLAMP COLLAR / DRAIN CLAMP RING FOR Z125 DRAINS. PRICE/EACH.